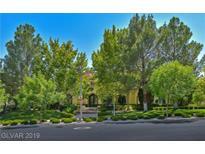 Below you can view all the homes for sale in the Half Acres subdivision located in Las Vegas Nevada. Listings in Half Acres are updated daily from data we receive from the Las Vegas multiple listing service. To learn more about any of these homes or to receive custom notifications when a new property is listed for sale in Half Acres, give us a call at 702-930-8014. It features a Designer Kitchen, a 5 car garage, stunning pool and spa, large spacious bedrooms, hobby/craft/workshop room, Brazilian cherry Hardwood floors, attic with shelving & pull down stairs and a finished basement that's over 2,000 sq. ft.! Dining & Shopping minutes away! MLS#2086448. BluePrint Realty LLC. Absolutely Spectacular Mediterranean Home with Modern Flair 6,729 SQFT of Luxury Living, Perfect Location in “Mountain Trails” - Designer Upgrades, Stone Flooring, Wood Flooring, Plush Carpeting, Flex plan, Offers up-to Six Bedrooms, Office, Media-room, Family room with Wet-bar, Gorgeous Master with Spa-Inspired Master Bath, Exquisite Gourmet Kitchen, Resort Style Pool & Spa, Beautiful Landscaping. Gorgeous Must-See Home MLS#2079472. Luxurious Real Estate. Rare One-story Find In Summerlin's Mountain Trails Guard Gated Community - Home Boasts An Amazing Floor Plan With Quality Finishes, 5 Br, 6 Ba, Home Office, Master Steam & Rain Shower + Jetted Tub, Built-in Entertainment Ctr, Vaulted Ceilings & Tons Of Natural Lighting - Tranquil Yard W/Remodeled Pool/Spa & Waterfall (2018), Putting Green, Athletic Court + Dog Run - Hi Res Security Cameras - Flexible Showings. MLS#2055995. Commercial & Res Invstmnt Rlty. Expansive gourmet kitchen w/ dual islands & butlers pantry. Wine cellar in dining room. MLS#2048500. BHHS Nevada Properties.